We’d love your help. 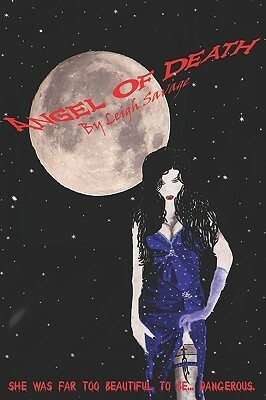 Let us know what’s wrong with this preview of Angel of Death by Leigh Savage. As a hired assassin, Mika knows not to let emotions get in the way. She only has four strict rules for selecting a mission or dismissing it. The fourth and final one - No emotions allowed - falls flat the minute she meets Domonic. To ask other readers questions about Angel of Death, please sign up. Mika Shadow is a hired assassin who is charged with stealing an anti-aging drug that could help her long time friend and mentor. The problem is she finds herself facing the demons who stole her from her mother. That isn't Mika's only problem, she is falling for the target going against every rule she has ever set for herself. Domonic Dagmar is falling for Mika, yet he doesn't know who she truly is. Can these two fall in love despite the odds? Angel of Death pulled me in from the beginning. A few things pulled me from the story as I was reading, but Leigh Savage managed to pull me back in every time. There is just something about Mika that is not only heartbreaking, but tough. I'm drawn to her character and despite a few technical things, I loved her story. Domonic is just what Mika needs and it takes awhile, but she does figure it out. Ms. Savage also teased about a sequel at the end of Angel of Death. I can't wait to see what the next story brings. If you like paranormal and vampires you will enjoy this book. I was introduced to this book by the author picking out one of her favorite scenes in this book and passing it around the dinner table while I was at IRC 2013 in TN this past weekend. Just that one scene got me totally interesting in reading the whole book. I started this book and could not put it down till it was done. One paragraph and I was hooked and lost in this world she spun. Vampires have been done and then done again and I always wonder if I will enjoy an author spin on them. Boy does Leigh has a great spin on her Vampires. I will be reading more of her books in the future and I know enjoying them. There were too many grammatical errors to finish this one. I'm not sure the author knows how to use a comma or a dictionary. The story seemed promising, but I just couldn't get past the mistakes. I'd give it another try if there were corrections made. I really enjoyed the difference in this vampire book. They were no in human stuff and kept to themself and not trying to rule the world. I kind of get bored with that theme. I liked the harmony feeling of the book and the fact that it was a stepping point and not the end. I am trying to best to finish this. I am assuming this is taking place in the present but they talk like their from the past. So far a couple of grammar errors; "made his way throw the rolls of tables." I just can't finish it. I'm sorry I would not recommend this book. I really enjoyed it. it was a thrilling book & kept me intune w/the characters. I hope to see more in the series. 3.75 stars review will be on the blog in the next few days. I hope you enjoy reading my stories as much as I enjoyed creating them I grew up loving to escape in the world of stories that my Father would write just for me. So it wasn't any wonder that as I got older I too picked up the pen and started writing. I hope you enjoy reading my stories as much as I enjoyed creating them. I've also written children books under the name Carrie Lea Williams.